So I haven’t written a blog post for just over a week – oops! This was also meant to be up yesterday… Time has gotten away with me, what with the combination of uni/work and organising my #cancerawarenesscollab on instagram. I did this to raise awareness for all types of cancer and to show support for all those have been affected! Please take a minute to check it out, 124 amazing ladies from the nail community joined me – and there’s still time to donate to my Cancer Research page for the Race For Life I completed on Sunday (here)! It all helps beat cancer sooner. Anyway, back to today’s post… Months ago, over a period of time, I bought a load of Kiko Milano nail polishes in their awesome sale, where I managed to get them all for 75p each! If you didn’t know Kiko Milano are an Italian brand that were established in 1997. Their nail lacquers are Toluene, Camphor, DBP and Formaldehyde FREE and come in 11ml bottles. Nail polish with hardening and strengthening action. The gel texture gives an extreme lacquered shine and an ideal level of fluidity for perfect control and great ease of application. Special resins facilitate ’adherence of the pigments to the ’nail, creating a strong, elastic layer which, thanks to the long wear active ingredients, heightens durability and the brilliance of the colour. Citral, a natural active ingredient with strengthening and hardening properties, seals and protects the nails creating an unscratchable armor of light. I’m starting off with the peaches, oranges and yellows – I need to break them up over 10 posts, I ended up getting so many! I’ll keep the descriptions short and sweet as there’s so many. 281 – Mango This orangey/pink is a gorgeous summer colour but was a little on the thin side! It took 3 coats to get an opaque, smooth finish. 360 – Strawberry Pink Another gorgeous summer colour! This coral-pink took just 2 coats to get full coverage and has a much creamier formula to it. 359 – Light Peach A lovely light peach that leans orange and a 3 coater. 358 – Peach Rose (no longer available online) Not sure where the rose aspect comes in btu a lovely peachy colour regardless! Again, this is a creme 2 coater. 483 – Papaya (no longer available online) Slightly more orange than Peach Rose but still has a peachy tone to it! 2 coats again. 357 – Bright Orange A gorgeous dark orange that takes just 2 coats. 280 – Orange Another fun, bright orange! And another 2 coater. 356 – Melon Melon is a fun yellow that leans orange a tiny bit! 2 coats. 279 – Yellow The name is what it is! A yellow that is fun and bright – a colour I needed in my collection. 2 coats. 355 – Canary Yellow Another sunny yellow, slightly lighter than Yellow. This is a little on the thin side again and takes 3 coats. Overall, I love the formula and shiny finish of these polishes. There’s only a few so far that are a bit thin but they drick pretty quickly so it’s not too much of an issue. 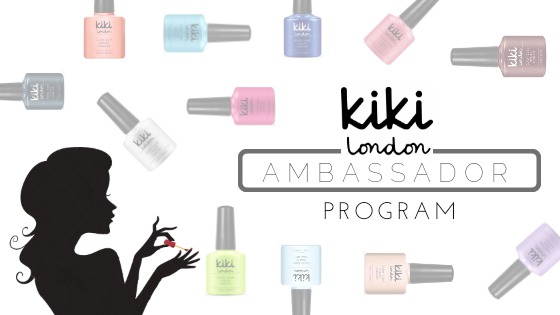 Make sure you keep an eye out for all my Kiko Milano posts coming up over this month! It would be super pretty to do a gradient with one of the peaches, oranges, and yellow, the colors together look very sunset-y! Yeah they have a huge variety of colours!